Congratulations Tom Burton and Team M-9! A full round of congratulations is in order for Tom Burton and the M-9 team, champions of the ILYA E Scow Invitational Regatta! Cygnet earned three race wins in the first three races. The top ten regatta leaders all sailed North. 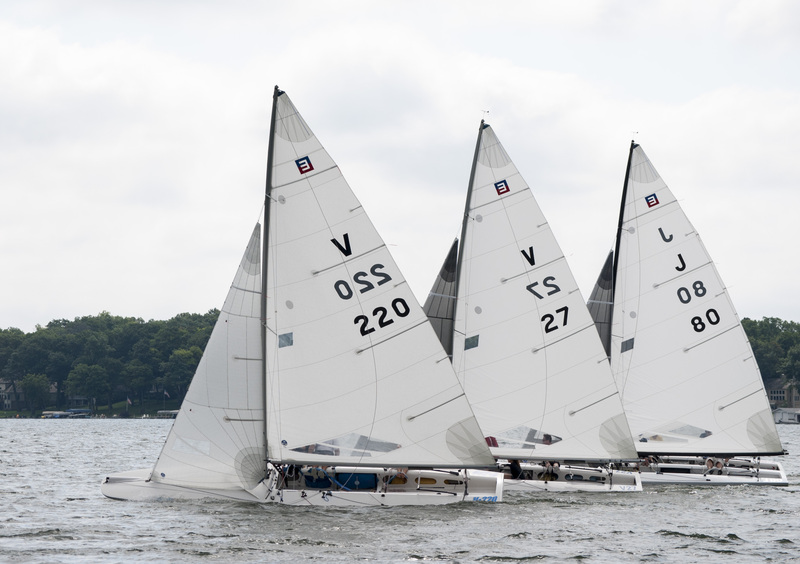 The North Sails E Scow Whomper was truly the spinnaker to use this past weekend on Pewaukee Lake – The top five teams all sailed with the new Harry Melges designed kite, allowing them to sail lower angles downwind yet still maintain top speeds.